It’s not unusual for Debby Dyar, President of Holly Baking, to tinker with her original cookie recipe twenty times or more before she declares it perfect. Debby Dyar was inspired to start her own line of biscotti when her son studied abroad in Italy. She immersed herself in the baking world, and soon realized that her true passion was creating new products. “When I started Moon Dance Baking in 2004, I was determined to make a premium cookie with flair,” Debby elaborates. That commitment to experimentation has led to unique – and irresistible – cookies. 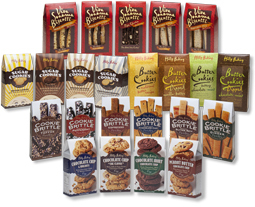 The company’s product descriptions read like a gourmet dessert menu worthy of Wine country: Espresso Cookie Brittle with a hint of cocoa, Sugar Cookies with real Meyer lemon, Homemade Biscotti drenched in bittersweet chocolate, just to mention a few. Together with her business partner and Bay Area foodie, Phil Chernin, Moon Dance is building a very loyal following with retailers and specialty consumers. Moon Dance Baking’s newest offering, Holly Baking Chocolate Chip Cookies, will help further this trend. Debby took America’s most beloved cookie and made it even better. Each of the four varieties is loaded with two types of chips or nuts and offers both traditional and unexpected flavors like Chocolate Mint Chip. 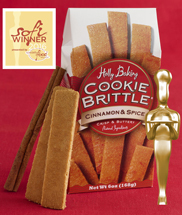 Already winners of a Sofi Outstanding Cookie award from the National Association for the Specialty Food Trade for its Viva Sonoma biscotti, it’s safe to say there are more good things in store for this Sonoma County-based gourmet cookie company.